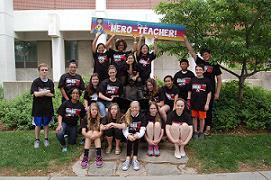 Last summer, 20 students attended an engaging new camp called "Be a Hero…Be a Teacher" on the UNL campus. 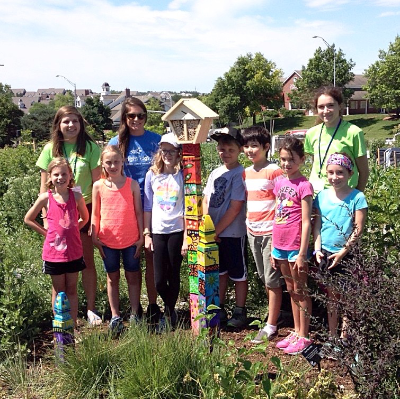 This camp was the result of a collaborative project between the UNL College of Education and Human Services and Bright Lights and the dream of both Dr. Bill Lopez, UNL associate professor and Barb Hoppe, co-founder of Bright Lights. The goal of the camp was to provide middle school students with the opportunity to experience what it takes to be an outstanding educator with a focus on recruitment of students of color to attend the camp. Experienced LPS teachers developed the curriculum, which included creating lesson plans, teaching a lesson and use of the latest technology in the classroom. The students visited Sheldon Museum of Art, Morrill Hall, the Nebraska State Historical Society, Memorial Stadium, and the Nebraska Center for Materials and Nanoscience and applied what they had learned to teaching and the classroom. Through the continued support of UNL, this camp will again be offered by Bright Lights for the summer 2014. Take a peek at the YouTube video from the camp's activities!